With Easter coming up later this month, egg hunts have been planned in the area. 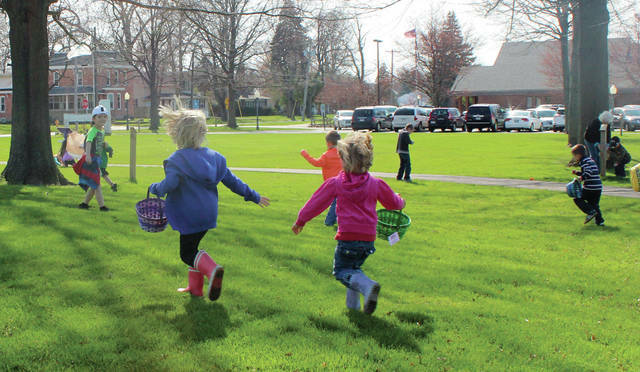 The next egg hunt in Swanton will be this Saturday at Memorial Park. The event, put on by the Swanton Lions Club, is from 1-3 p.m.
Swanton Public Library will also be holding an Easter Egg Hunt. That will be Friday, April 19 at 2 p.m. There will be treats, grand prizes will be raffled off, and a special prize will be won if you find one of the five eggs that contain a golden ticket. It will be outside this year at Pilliod Park. No sign-up is required. Metamora will have an Easter egg hunt on Saturday at 1 p.m. in Village Park.